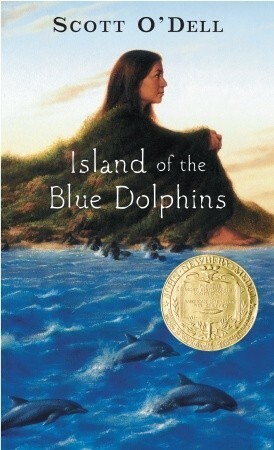 Island of the Blue Dolphins is based on a true story. This adventure shows how one smart, innovative girl uses her knowledge of the world around her to endure her survival. Through many challenges, Karana remains intent not only on survival alone on her island, but also on making a happy life for herself, showing incredible strength of purpose. When a tribe of islanders leaves their home in search of a safer place to live, they accidentally leave behind a 12-year-old girl and her younger brother. Karana must learn, through various hardships, to get by without the help or wisdom of her tribe. Readers witness her struggle to survive, season after season, for the 18 years she stays on the island and she realizes she’s not alone. The book is full of vivid natural description, from the general geography of the island to the specific details of how Karana obtains and prepares food. It will keep you reading to find out not only how Karana keeps herself live, but about many ways she has fun on her island and the non-human friends she finds. When her rescue finally comes, she leaves the island a different person than the girl who was stranded there 18 years earlier.